Capture raw, radiometric thermal data. ThermalCapture 2.0 allows you to easily generate radiometric, raw thermal data. ThermalCapture 2.0 640 stores fully radiometric per pixel temperature data onto a Micro SD card directly on-board of your UAV. 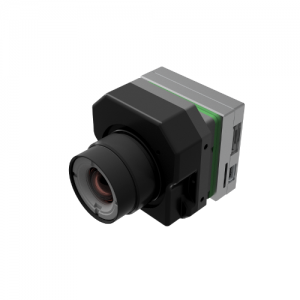 This eliminates transmission errors and enables you to do per pixel temperature measurements with a thermal resolution of 0.04 degrees. Via the analog video output you get a live video stream to find the perfect view to the object of desire. Various I/O ports let you change color palettes or zoom levels remotely and precise position and time information can be obtained from external GPS receivers, or via Mavlink input. ThermoViewer is our free software to process recorded data. Important images can be easily selected and exported into various formats, including radiometric JPG files, which can be processed with all existing FLIR software tools. ThermalCapture Fusion Zoom. World’s first fully aligned, super-lightweight zoom-able dual camera for professional drone operations.